UPDATE: This workshop is sold out. Please contact us to be placed on the waiting list, and please check our other workshops, thanks! 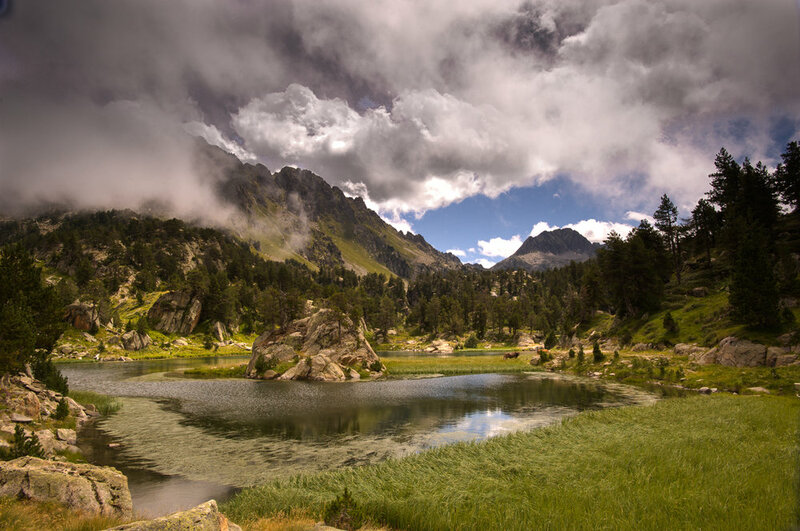 Join Andy Williams on this workshop in the Pyrenees and Camargue. The workshop will feature a wide range of subjects, from nature, and panoramic photography in the nature reserves of the Pyrenees to portrait and anthropological photography, as well as participating in the fascinate Gipsy festival and a fascinating encounter with the White Horse of the Camargue, and the wild animals of the Camargue swamps. May 17, 2020: Arrivals in Barcelona. After pickup at the airport we will meet for dinner and an introduction before we begin the workshop. May 19, 2020: Vultures – Villages of Aragon – Ainsa – Torla. We will begin our day with an unusual and unequaled experience—we will join the supervisor of the vulture-feeding station as he feeds them. Scores, and sometimes even hundreds of wild vultures come for the feeding and Bearded vultures and Egyptian vultures can often be observed as well. Our vantage point will be at about five meters from the feeding point, but we can sometimes get much closer, even up to a mere couple of meters from the vultures. Later on, we will continue through the gorgeous roads of the Sierra de Guarra towards the medieval walled town of Ainsa, passing through authentic villages and ancient farms. Towards evening we will reach the medieval village of Torla, where we will spend the night. In the afternoon we will continue through the mountain passes crossing from Aragon back into Catalonia and the wonderful Aran Valley. The valley is also where we will spend the night. May 22, 2020: Aiguastortes National Park. 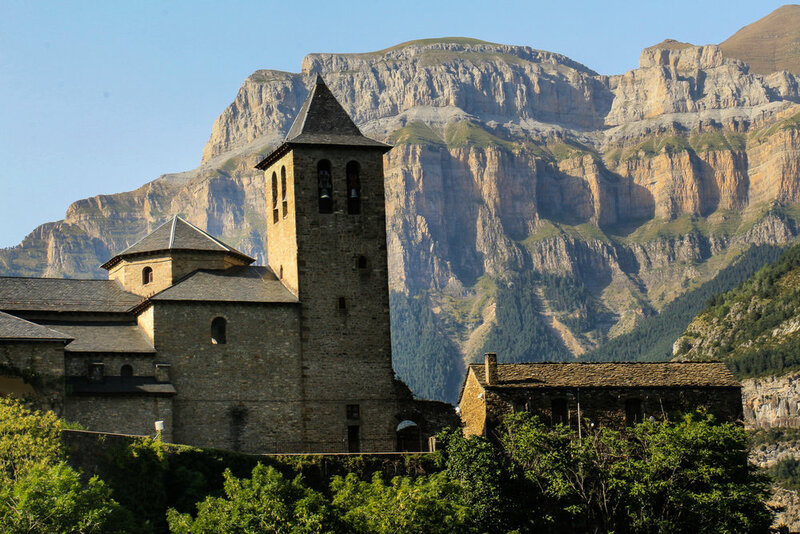 We will start driving out of the Aran valley and head for one of the pearls of the Pyrenees—The Aiguastortes National Park. All the characteristics typical to the High Pyrenees can be found here, but above all: the water! The amount of clear waters flowing through the lakes, rivers, and waterfalls of the park is simply unimaginable. Water and more water, and the beauty is stupefying. And then there are the forests and breathtaking views on every side. This is heaven for the nature lover! There is an abundance of different trees, rocky slopes, mighty summits, and peat bogs. We will be driven in 4x4 vehicles belonging to the park, to one of the highest points of the park, where we will spend the day walking and taking advantage of the many subjects waiting to be photographed. In the afternoon we will return to the village of Espot and continue along the Noguera Pallaresa river to the town of Sort where we will spend the night. May 23, 2020: Aiguastortes National Park – Cerdanya Valley. The first part of the day we will dedicate to further explore the national park and its many amazing landscapes. 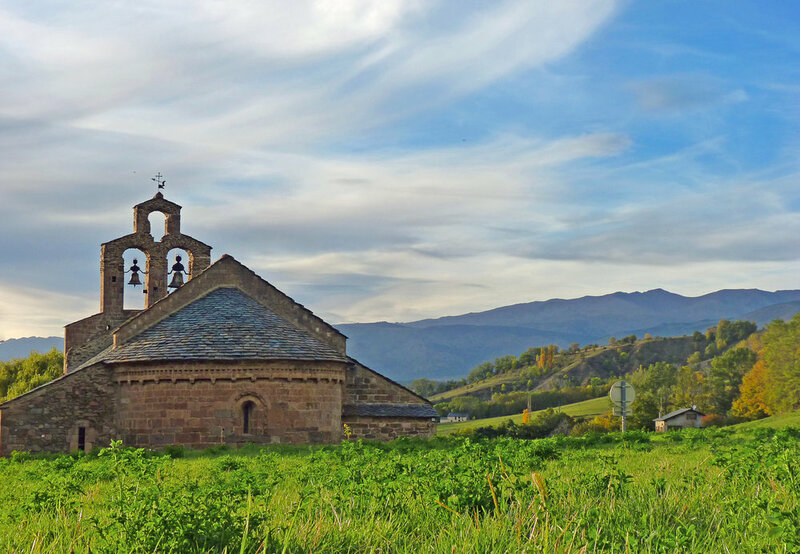 Later on we will continue heading east and we will cross the Cerdanya Valley, one of Catalonia’s most beautiful, surrounded by the renowned Cadí-Moixeró mountain range. We shall spend the night by the town of Puigcerda touching the French border. May 24, 2020: Saint Georges Gorges – Cathar Country – Beziers. After crossing the border into France we will pass through the Gorges de Saint-Georges, a narrow road sandwiched between two huge rocky walls and the river Aude, which is said to be one of the most stunning roads in France. We will reach the region of The Cathars, which were the followers of Catharism, a religious cult, operating in Europe between the 11th and 13th centuries. The area is speckled with some of Europe ́s most well-preserved castles and fortified towns. 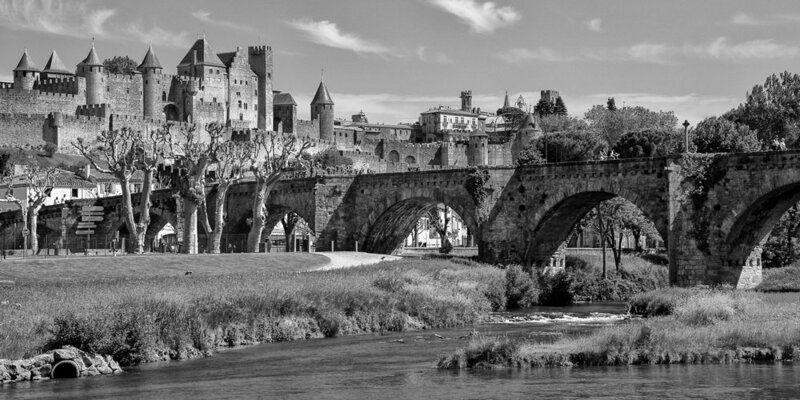 We will spend the night in the town of Beziers. May 25, 2020: Gypsy Festival of Saintes Maries de la Mer. In the morning we head to the small town of Saintes Maries de la Mer where families of gypsies from all around Europe come to a colorful event full of dances, dancing and fascinating human-scape. Today is the 2nd day of the festival and the climax of the day is when the 2 figures of the saints – Mary Salome and Mary Jacobe are taken out from the church and in a long procession accompanied by the gardens of the Camargue on horseback, are brought into the sea and the crowds follow entering the water. After the festival is over we shall go to the small side roads of the Camargue to appreciate the beauty of the region. 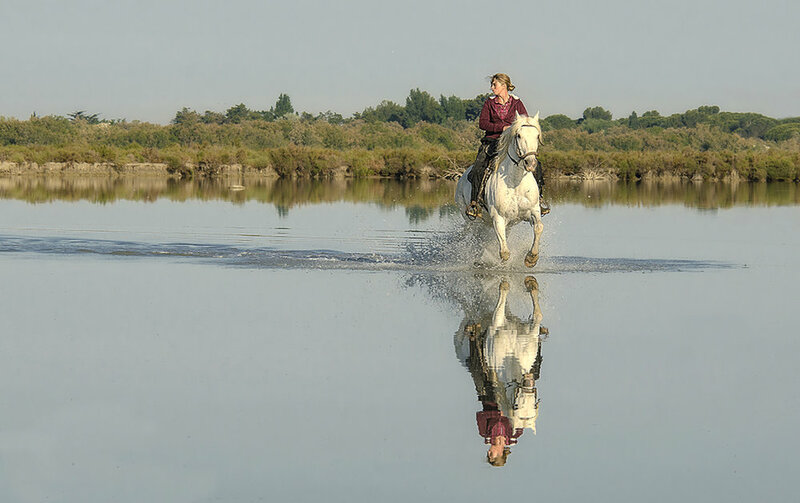 May 26, 2020: Aigues-Mortes – Horses of the Camargue. The first part of the day will be dedicated to the walled medievel town of Aigues Mortes. 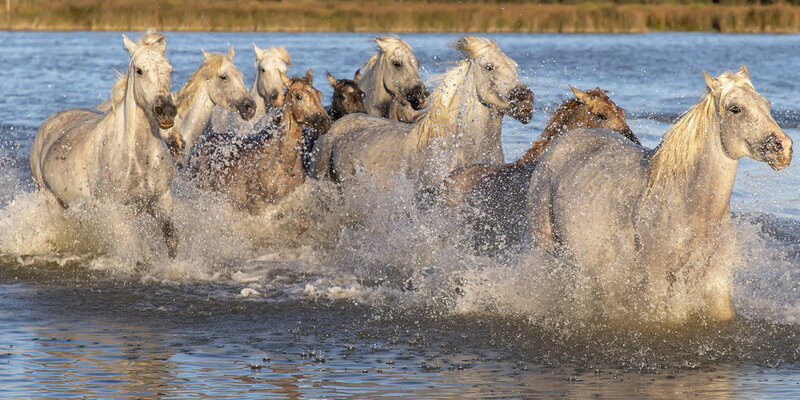 The second half of the day will be spent taking pictures of the famous Camargue horses in their natural habitat. 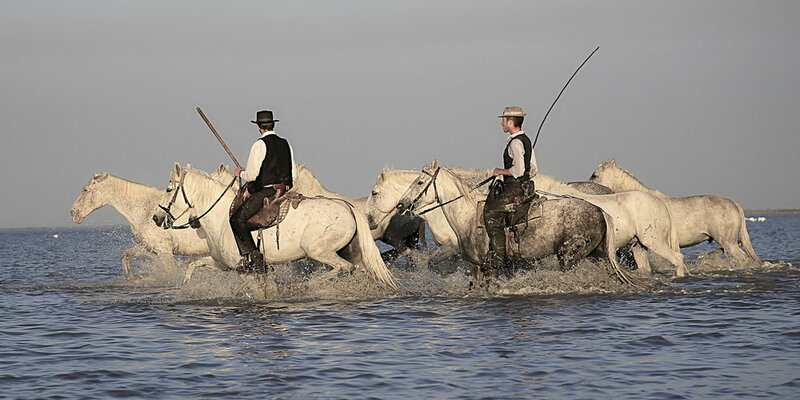 The cowboys of the Camargue (known as “gardians”), armed with their traditional lance, will help us take the pictures of these white horses as they gallop in the swamps and the salt pools of the Camargue. Of course we will do this during the sweet light of sunset. May 27, 2020: Flamingos and Bulls of the Camargue. Before sunrise, we will head back into the Camargue Reserve to witness and photograph the renowned Flamingos and various water birds which can be seen throughout the region ́s many swamps and ponds. 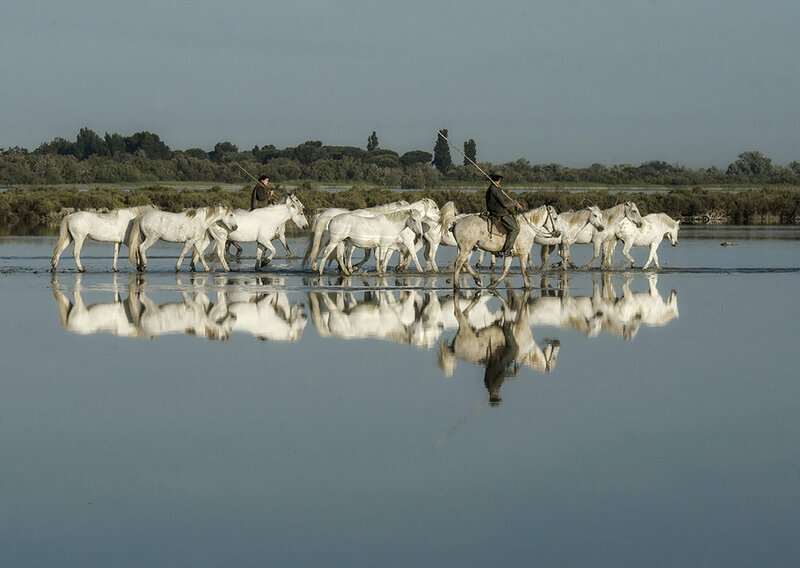 In the evening the famous black bulls of the Camargue will be waiting for us to photograph them in their environment. We will spend a second night at our hotel in the Camargue area. May 28, 2020: Beach Stallion – Costa Brava – Barcelona. 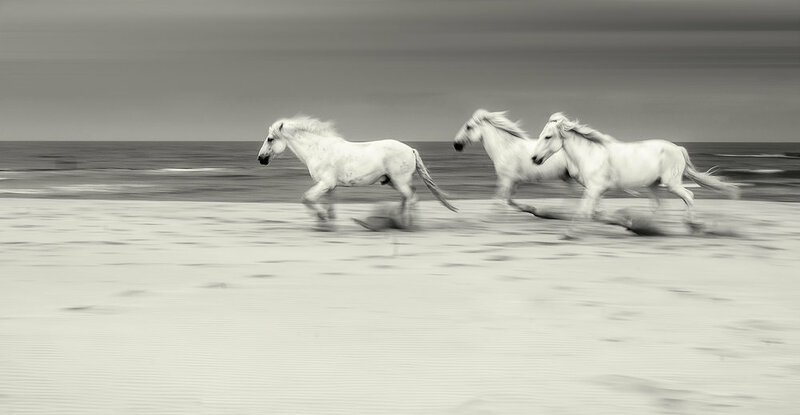 The last day of our workshop we will head down to the beach dunes with a single white stallion,where we will photograph him dashing and diving in and around the sea and surf, as well as rearing on the top of the sand dunes, making for a wide range of dramatic action shots. Afterward, we will say our farewells to the Camargue and begin our drive back towards Barcelona. If time permits, we will stop in unique spots along the Costa Brava—the famous wild coast of Catalonia, where incredible rock formations can be seen along the cliffs overlooking the shore. May 29, 2020: We will then transfer back to the airport anytime this day, for flights home or elsewhere. 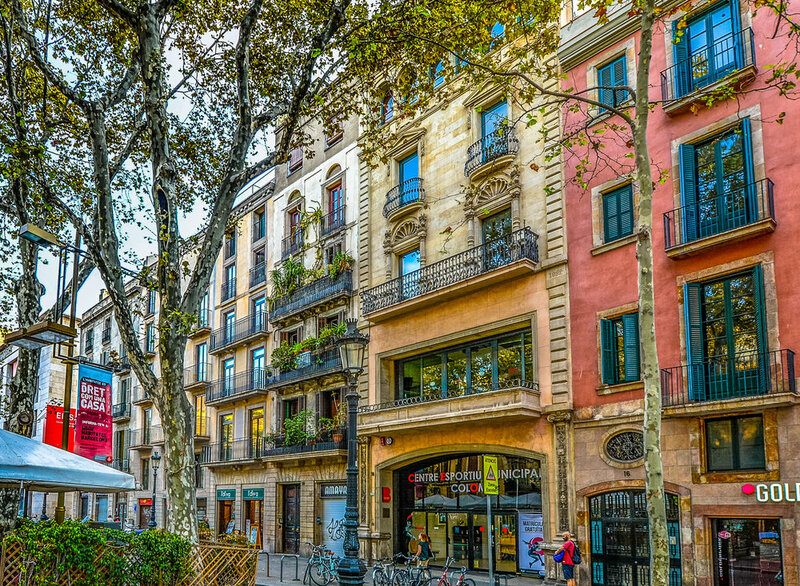 Travel to/from your home to Barcelona, Spain. Passport or visa fees. Travel Medical and Trip Cancellation Insurance (optional, but recommended). Items of a personal nature. Alcoholic beverages. Anything not specifically listed as included. Your deposit of $4,000 is due at sign up and will hold your space in the workshop. The balance of $4,995 is due by February 1, 2020. All of our standard terms and conditions apply. Need special payment arrangements for your deposit? No problem, just ask us. This workshop is strictly limited to only 7 guests, so don't wait, click the "Sign Me Up! button and we'll see you in The Pyrenees!